Fully built car using Official BSA block covered with vinyl LEGO body skin. "Cool car design. My LEGO maniac son loves it!" 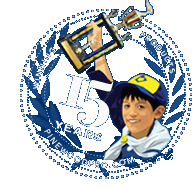 The LEGO pinewood derby car is a super fast, fully built car designed to meet BSA rules. This car is built from the Official BSA car block, BSA axles and BSA wheels from the Cub Scout kit. The BSA wheels have been precision tuned, lightly lathed to remove all imperfections in five different areas. They are trued and slightly lighter which translates to a fast car. The BSA axles are also lathed and polished to remove crimp marks and burrs. Polished axles result in a fast car. This car is pre-weighted with the optimal center of gravity. It is just under 5 ounces to allow for scale variances between our scale and your official race scale. We've drilled three small holes on the bottom in case you want to add a small amount of weight to get maximum performance. We recommend tungsten putty because it can be easily added or removed on the spot. We highly recommend shooting additional PRO Graphite lubricant onto the axles were the axle goes into the wheel bore before your race. The more graphite, the better! Lastly, we drill an optional raised wheel hole above the front left axle slot. If your rules allow, remove the front left wheel and insert it into the raised wheel axle hole to get even more speed. All of the above speed improvements means your LEGO pinewood derby car will be a competitive, fast car that meets baseline BSA rules. This car was slow as a snail, not impressed at all.